It seems that every major organization in America has done a public opinion poll in the 24 hours since the President announced his latest gun control proposals. I went with Pew because they do a lot of social research that is usually free of political bias you find in the news polls. I was about to write about their “alarming” poll that “only” 54% of students have ever read an e-book when I saw they just released this new poll. Honestly, I think the e-book figure is pretty good since it seems about 90% of all students have never read anything. 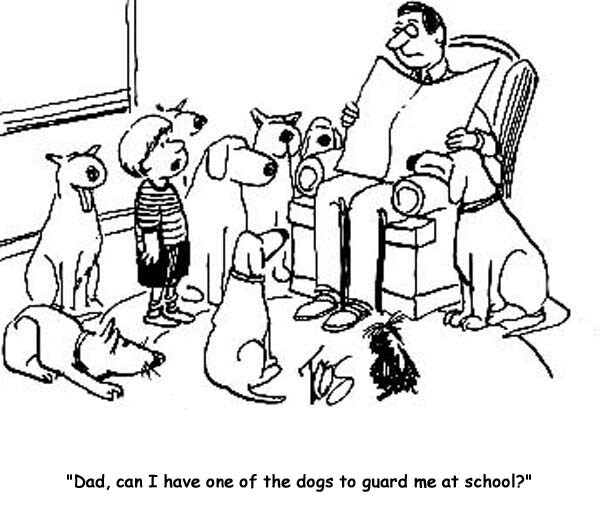 So what’s the real deal with armed guards in schools? Personally I like the idea. Some will jump on costs as a factor not to do it, but that is easily resolved by kicking out a few administrators to pay for cops and guards. There isn’t a school system in America that isn’t top heavy with adminstrators. Another area to save money on is busing. Unless a kid lives 10 miles down some country road we don’t need to bus him/her across town in order to satisfy some social numbers game. The other point to make to those worried about budgets is that children are worth it. They are the future of this entire planet and a few extra dollars to keep them safe shouldn’t even be a consideration. And for the tofu and yoga crowd concerned about the presence of authority around their overly pampered kids, teaching them a little respect for authority wouldn’t be such a bad thing. It’s time to stop teaching kids it’s okay to tell a cop “you’re not the boss of me.” I find it scary that their parents think the cops would be a worse threat than a mass murderer. In many cases it was the same “peace, love, pass me the bong” group that immediately reacted negatively to the NRA’s suggestion for armed guards just because it came from the NRA. If the Exalted High Holy One in the White House had suggested it (which he did in more subtle way), they would have shouted “hallelujah” and sent out for more vegan pizza. Well, according to Pew (which isn’t the best name for a research and polling group by the way) apparently there are still a lot of fair minded Americans around who think having armed police in schools is a good thing. Just to be clear, the NRA has been acting like the three stooges for too long when it comes to military-style weapons, but the idea of guards in schools is a good one. So let’s hope at least that part of Obama’s program gets through. Then the rest of us can shout “hallelujah” and send out for a triple-meat pizza with extra cheese to share with the kids after a safe day at school. This entry was posted on January 17, 2013, 11:09 pm and is filed under The Backstory. You can follow any responses to this entry through RSS 2.0. You can leave a response, or trackback from your own site.